A few years back it was the owl. The wise birds were all over fashion jewelry, so much so that they became somewhat obnoxious (as any overplayed trend does). Now it seems elephants are taking a place in the spotlight. This trend seems to have swelled less conspicuously, but has the potential to be even bigger. Elephants are being placed on earrings, as pendants, as charms, on cuffs, in rings, and pretty much any other type of jewelry you can think of. And it’s not just fashion jewelry that’s crushing on the grand ol’ pachyderms. 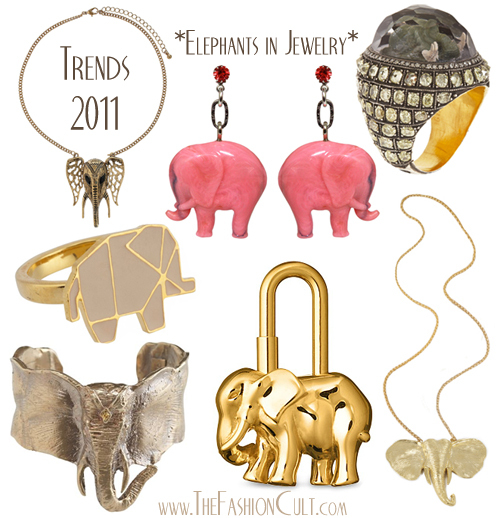 Fine jewelry, too, is producing many elephant themes. So what might the trend mean? Elephants have been connected with wisdom, long memory, power, and royalty among other symbolism. Elephants are revered in some Eastern cultures, figuring largely (no pun) in the history and culture of countries like India. In fact, Indian people and culture are increasingly visible in Western popular culture, which plays such a big part of forming fads. 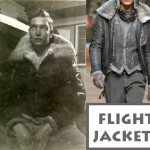 Yet trends are more than fashion fad. A real trend is a vibration that can be felt throughout. In fashion, music, cuisine, design, politics, social structures, everywhere… What does the image of an elephant mean to you? Shop more elephant jewelry items below. Slip the TARINA TARANTINO “Tilt-A-Whirl” Blue Elephant Drop Earrings into your ears for a fashion statement no one will forget! Each rhodium-plated silver post with a friction back holds a sparkling light-blue crystal. 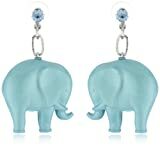 A bright turquoise blue Lucite elephant charm dangles below from a single chain link for a whimsical touch. Measuring more than 2-1/2 inches long, these charming earrings will add a fun and colorful element to any outfit. Pair these earrings with crisp white shorts, a loose patterned top, and strappy wedge sandals for an outdoor lunch or garden party. 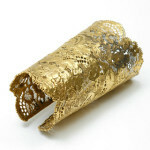 Vanessa Mooney jewelry is hand made in Los Angeles, CA. The pieces are created to feel unique and one of a kind. Yellow gold plated sterling silver. Made in the U.K. The elephant pendant necklace lets you have fun with your accessories. The abstract black elephant hangs at the bottom of the long chain and pops with 18k yellow-gold plate details. Layer this irresistible piece with your other fashion jewelry necklaces for a bohemian chic look. Double elephant pendant necklace is a perfect gift for your best friend. A stylish 14k yellow gold disc is engraved with the image of two elephants with their trunks interlocked with one another. Because the trunks of the elephants are linked, they symbolize friendship. The pendant measure 5/8 inch in diameter as it dangles from a lovely 16 inch chain that is also crafted of 14k yellow gold. Necklace fastens with a lobster claw clasp. Hm, the image of an elephant does seem grand. Perhaps part of the grandeur is due to it being one of the largest animals in the world. That image translates pretty well as jewelry. It is gorgeous and awesome.Thank you for letting me to know this design.